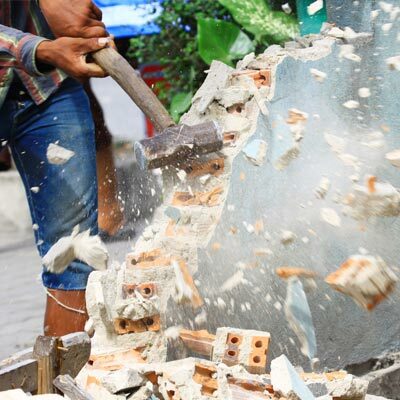 There are many benefits to deconstruction by hand, over demolition. To begin with, deconstruction by hand means hiring local labourers, skilled tradesmen, and a range of local services which has a positive impact on the local economy. Timber, metals and other materials are removed, sorted and salvaged or re-purposed. This means they are diverted from the landfill which has its own advantages - lower tipping fees, and less garbage. Money saved in reduced tipping fees goes back into hiring local labour and local services. Deconstruction by hand is a win-win - for the building owner, the economy of the region, and the environment. We'd be pleased to consult with you and outline the benefits of deconstruction for your next project.